Do you think blogging is like talking to yourself? For the last 4 years I’ve been collecting. I’ve always been fascinated by the medium of posters and specialty prints, especially the Movie Poster. I think I generally love the scale you see at movie theaters which are much larger than the typical store bought glossy prints you find in Target for $6. I also love, and have an intimate appreciation for, print media. As my first love and my first career, I understand printed matter very well, how it’s done, and have worked very closely with some truly masterful printers. I stay away from working on printed pieces more so today but it’s not because I dislike the format. So here’s the collection I’ve been amassing over the last few years. These are in chronological order from when I’ve purchased them - not their release date. (I’ll be using digital images for their resellers for now until I have the lighting, camera, and space for my own photography). 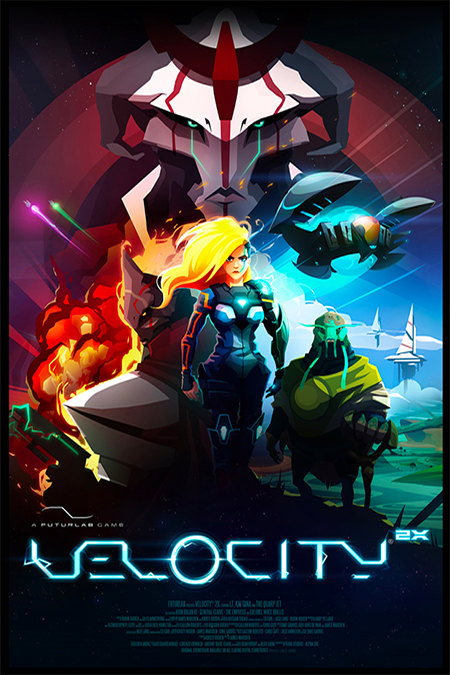 Velocity 2X by Futurlab is a great game - one of my all time favorites. This poster is a high quality silk finish poster print, nothing too crazy. What’s special is you can order this bad boy signed by the dev team. When I ordered it, one of the dev team members was away and they asked if I would wait a week or two until he got back, which I did. It was worth it to have the full team sign it. I acquired this sometime in 2014. This is a Batgirl pinup print I purchased from Babs Tarr’s Etsy shop. She very rarely has her shop open and rotates prints out whenever it does open. Babs is fantastic and I watch her creative streams on twitch. Not to mention Batgirl of Burnside is perhaps my favorite run of the character. If I recall, I got this print in 2015. 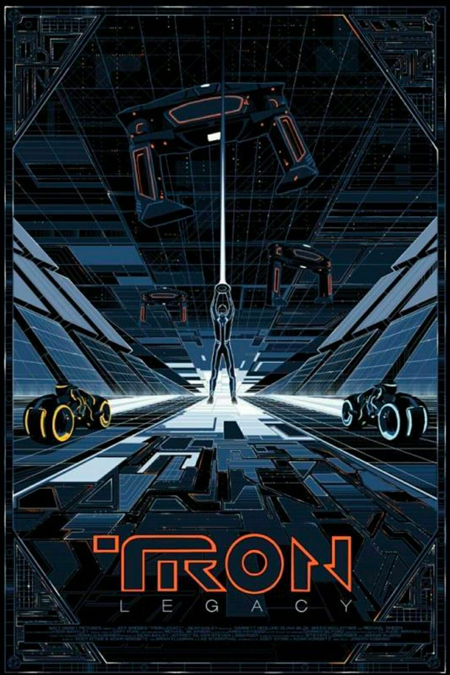 This Tron: Legacy poster marked my real foray into silkscreen poster collection. This was illustrated by the brilliant master Kilian Eng for a private commission. It was produced by Seizure Palace in a run of 150. Sometimes you’ll find a print or two on eBay - like I did. No picture can do the 3 metallic inks justice. I purchased this in 2017. This was a print given to me in 2017. It is a gorgeous 1 color print illustrated by Salvador Anguiano and printed by Lady Lazarus for Hero Complex Gallery. It’s for the 1966 Peter Fonda movie The Wild Angels. I’m not a fan of the movie but this print is just straight gorgeous. Run of 50. This piece by Marko Manev is simply just not given justice by a digital picture. The screen print is done so well with a light dithering that is masterfully done and so fun to look at and dissect. Produced for Hero Complex Gallery in a run of 100. It was given to me in 2017. This was timed exclusive print by the wonderful Jock for Mondo Tees. D&L Screenprinting really nailed the blues, they’re so so bright. I got this in 2018 but I think I ordered it in 2017? I can’t remember. This is an anniversary print of Uncharted illustrated by the legendary artist Paul Mann. It was released through iam8bit. I can’t seem to find their store page for it anymore so I don’t know the run information but it is an archival quality print. I got this early 2018 I believe or really late 2017. This is a print of another one of my all time favorite games, Journey, by Tomislav Jagnjic. It was done by D&L Screenprinting for Mondo Tees in a run of 275. I got this in 2018. Light. Darkness. Balance. by Marc Aspinall is just a gorgeous The Last Jedi print. I did not manage to get to SDCC 18 exclusive variant but I’m very happy I managed to nab this one. It’s done by D&L Screenprinting for Mondo Tees in a run of 375. These little Olly Moss pal prints I just couldn’t pass up. I couldn’t get the whole set of 13 but I’m happy I was able to grab a couple of my favorites. They are 5x5 giclee prints and were only available for a short window. This is my second Kilian Eng and I just nabbed this as it was released. It is a 7 color silkscreen print from Bottleneck Gallery in an edition of 175. it completes my trilogy of posters for my favorite Star Wars movies. Though I assume I’ll have all movies represented eventually.